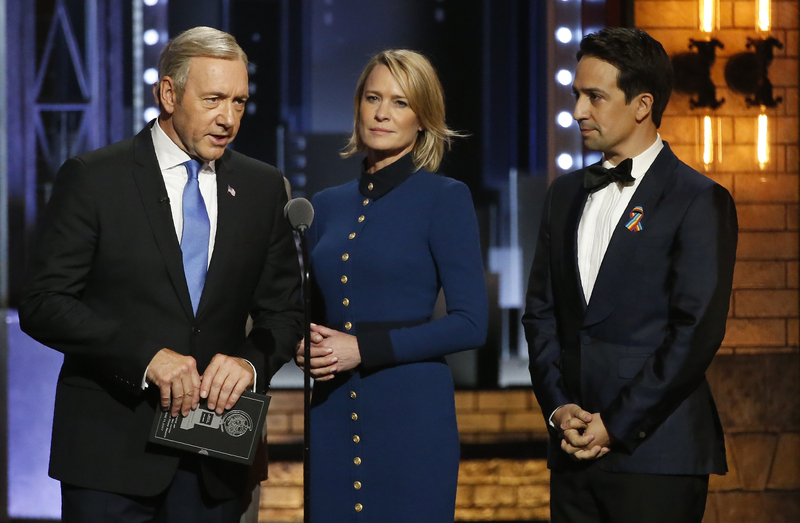 Shortly after production was put on hold over the allegations against Spacey, Netflix and Media Rights Capital (MRC) announced that he had been fired from the show. The final season of the political drama will star Robin Wright and will run a total of eight episodes. Up until this point, each season of the popular drama has run 13 episodes. Other changes to the series includes two new performers, Diane Lane and Greg Kinnear. They will reportedly play siblings. However, what their exact part in the drama will be is being kept a secret. The political thriller — produced in Baltimore by MRC — was the streaming site’s first real hit show. It has been nominated for 53 Emmys during its entire run.